Much of the attention to Interior Secretary Ryan Zinke's review of national monuments has focused on sites across the West, but recommendations he made to President Trump show that a trio of marine monuments could also see significant changes. In a report Interior released yesterday, Zinke advised that commercial fishing be introduced to three ocean sites: Rose Atoll, Pacific Remote Islands, and Northeast Canyons and Seamounts marine national monuments. Advocates for fishermen cheered the recommendations, asserting the restrictions had created an "economic burden" for their industry. "The marine monument designation process may have been well intended, but it has simply lacked a comparable level of industry input, scientific rigor, and deliberation," said New Bedford, Mass., Mayor Jon Mitchell in a statement released by the National Coalition for Fishing Communities. He added: "That is why I think hitting the reset button ought to be welcomed no matter where one stands in the current fisheries debates, because the end result will be better policy and better outcomes." In the report, Zinke criticized restrictions on commercial fishing in the three monuments, discounting the industry's impact on areas such as the Northeast Canyons and Seamounts near the Massachusetts coast. "There is no explanation in the Proclamation as to why the objects are threatened by well-regulated commercial fishing," Zinke wrote, referring to President Obama's proclamation establishing the 3.14-million-acre nautical monument in 2016. Zinke recommended that regional fishery management councils make decisions about commercial fishing in each of the sites, as authorized by the Magnuson-Stevens Fishery Conservation and Management Act. Trump would need to modify the proclamations creating each of the three monuments to allow commercial fishing. Zinke's recommendations also call for potential reductions to the boundaries of both the Rose Atoll monument, which includes 8.6 million acres, and the Pacific Remote Islands monument, which includes 314 million acres. Earlier this week, Trump signed presidential proclamations slashing the size of two Utah sites, the Bears Ears and Grand Staircase-Escalante national monuments. That action has drawn a wave of lawsuits from Native American tribes, environmental organizations and recreation businesses arguing that Trump lacks the authority to alter monuments (Greenwire, Dec. 5). Ocean conservation groups likewise criticized the Utah reductions, and urged the White House not to take similar action with regard to the marine monuments. "We are an ocean group, but we care about this attack on land monuments because an attack on one monument is an attack on all," said Marine Conservation Institute President Lance Morgan. "The truth is that special places on land and in the ocean need protection from resource extraction to preserve biodiversity, to rebuild populations of wildlife and to create ecosystems resilient to climate change." 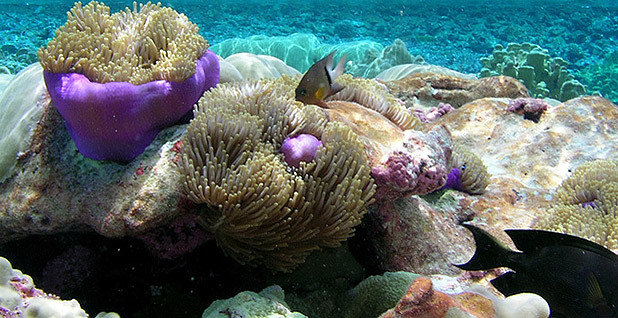 Oceana campaign director Lora Snyder said: "Secretary Zinke proposes to throw protections for three marine national monuments overboard and to allow commercial fishing to resume." Commerce Secretary Wilbur Ross also conducted the assessment of 11 marine monuments and sanctuaries under an April executive order on the president's offshore energy strategy. Although Ross submitted that report to the White House in late October, it has yet to be publicly released (Greenwire, Oct. 25).